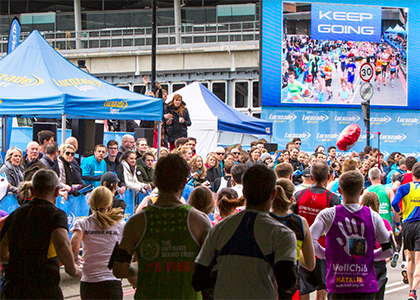 Lucozade Sport has launched a new competition offering Virgin Money London Marathon runners the chance to win £1,000 for their chosen charity as part of Lucozade Sport’s Made to Move campaign; which aims to get 1 million people moving more by 2020. 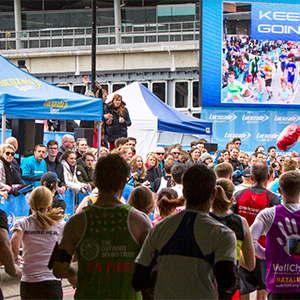 With 40,000 people training for this year’s marathon, Lucozade Sport is asking runners to encourage as many friends as possible to move more by running and donating one mile each. Once runners find 10 friends to donate a mile, the marathon runner will be entered into a monthly prize draw to win £1,000 for their chosen charity. In addition, entrants will also be included into a prize draw to win a luxury weekend away for two people worth up to £2,000. To enter the competition, marathon runners must be registered for the 2017 Virgin Money London Marathon. They then need to challenge 10 friends on Instagram using #MadeToMove. Willing friends simply need to run one mile, take a sweaty selfie and post it on Instagram, tagging the marathon runner’s Instagram username and #MadeToMove. 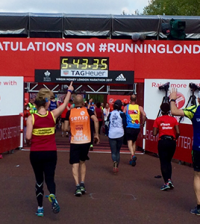 Kay Bartlett of Lucozade Sport said: “When training for the Virgin Money London Marathon, it is a hard task for people to train and raise large amounts of money for their charities. 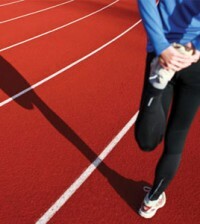 We wanted to help marathon runners to raise money and get more people moving at the same time. It’s a great way to reward runners for all their hard work preparing for the marathon and encourages friends to show that they are helping them every step of the way”. Lucozade Sport, the official hydration partner of the Virgin Money London Marathon, has said it will donate up to £45,000 to charity as part of the competition.